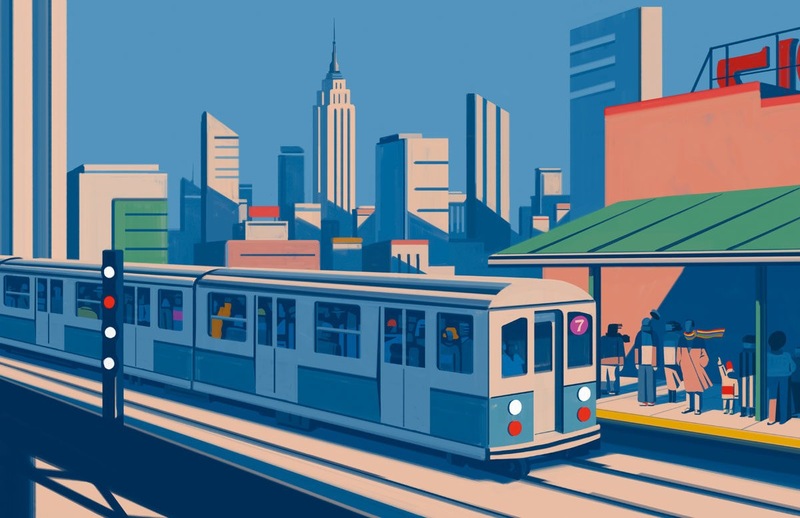 The foyer of the MAMbo welcomes visitors with a wooden reproduction in actual size of the subway car drawn by the Italian illustrator Emiliano Ponzi. 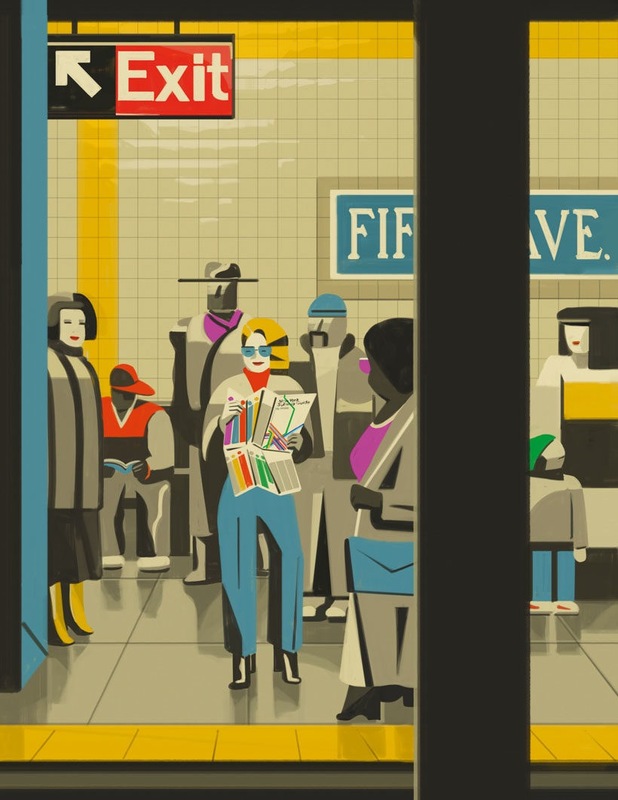 The connection between the New York subway and the museum of modern art in Bologna is the latest book by Ponzi La grande mappa della Metropolitana di New York (MoMA - Fatatrac Edizioni, 2018). The subway map created in 1972 by Italian designer Massimo Vignelli is still in use, along with its elegant signage, to help passengers get their bearings amidst the 24 lines and 472 stations of one of the world’s most complex public transport systems. The circular exhibit features sixteen panels that pay homage to the innovative information design project of Massimo Vignelli, whose original diagram was acquired in 2004 by MoMA – the Museum of Modern Art of New York – for its permanent collection. 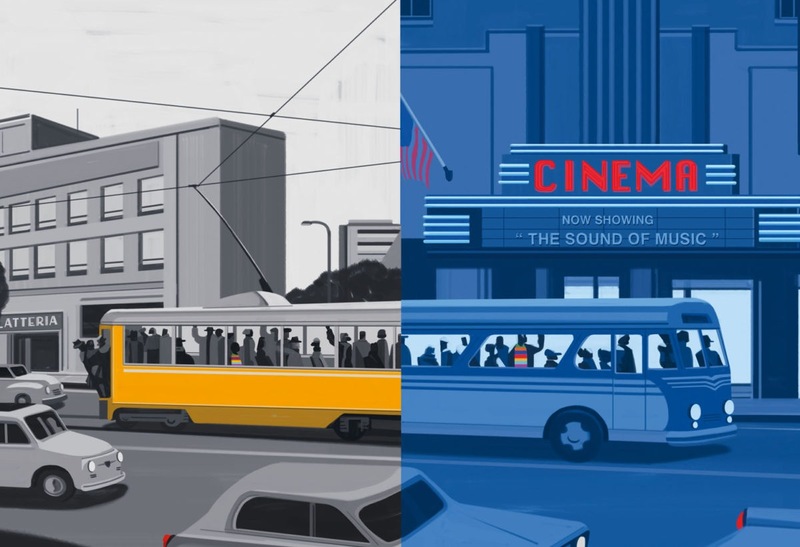 The famous museum, in collaboration with the New York Transit Museum, has commissioned Emiliano Ponzi to create a narrative of this pioneering work, conveying the idea of graphic design as a discipline that solves problems and has a forceful impact on the world.